These Are the Most (and Least) Diverse Cities in the U.S. There's a real correlation between a place being extremely boring and it lacking diversity. On top of that, there's the general reduction in the richness of human experience to consider, but we don't really have time to get into right now, so just think about the food alone for a second. Then, consider the place you live. With that in mind, we recommend checking out this study from WalletHub that shows the most and least diverse cities in the United States. WalletHub surveyed over 500 of the largest cities in this country, considering household, religious, socioeconomic, economic, and cultural diversity, and broke those down further into 13 key metrics. For your convenience, there's a map below that'll give you a quick overview, and we've also listed the top 10 and bottom 10, but you should definitely check out the full study. To use the map, just hover to see the ranking. The purpler the dot, the more diverse the city. To put this study together, WalletHub looked at 501 of the country's most populated cities, with no more than 10 cities per state, using these five dimensions: 1) Socioeconomic Diversity, 2) Cultural Diversity, 3) Economic Diversity, 4) Household Diversity, and 5) Religious Diversity. Those were broken down further into metrics like household income diversity, industry diversity, age diversity, and more. Each was graded on a 100-point scale and combined into an overall score used to rank the states. 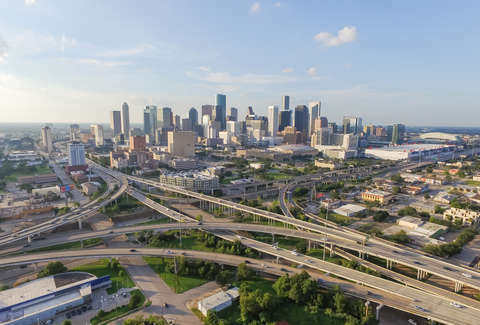 Texas actually had three of the top 10 cities, with Houston in the top spot. That makes sense because the place is so damn big, but it's also surprising because Houston didn't rank particularly high up in any one category. Instead, it had a solid score in all of them. Jersey City, on the other hand, came in at first in Cultural Diversity and second overall, but had lower scores in categories like Economic Diversity and Religious Diversity. You also probably noticed that Maryland had three cities in the top 10, too. On the other hand, Provo, Utah came in last overall and in dead last for Age Diversity and tied for last in Religious Diversity. It was joined by another Utah city, Orem. Maine and New Hampshire both also had two cities in the bottom 10. If you're thinking about enriching your life and more about finding employment, you should also check out this list of the best and worst states for finding a job.